I can't tell you how excited I am that it's Friday! Kicking off the work-week with a holiday Monday is always a great idea in theory but really throws you for a loop :) I'm looking forward to some patio drinks, a shopping date and sleeping in! How about you? Perfectly relaxed and polished look! love the subdued patriotic look! This is such a sweet look, girly! Love those jeans! Your looks have been so on point recently! 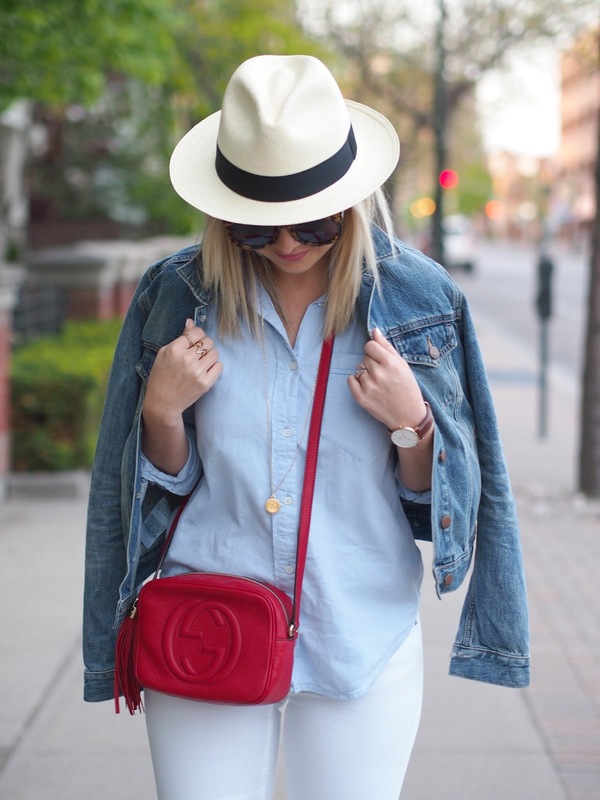 I love the light chambray with the white jeans! Beautiful outfit, love your denim jacket!